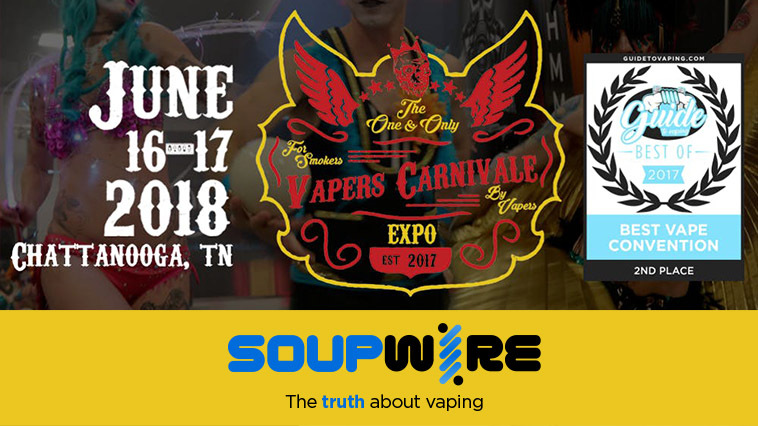 Home Vape Shows Meet Soupwire at this Year’s Vaper’s Carnivale! Soupwire is heading to the Vaper’s Carnivale in Chattanooga, TN this weekend – will we see you there? That’s right, we’re back on the road, headed to the beautiful Chattanooga, Tennessee area to attend the Vaper’s Carnivale on June 16-17. We’ll be headquartered in booth 204 conducting interviews with some of the event’s biggest attendees. This year’s show looks like it’s going to be huge, with the event open to the general public from 1-6P M both days. 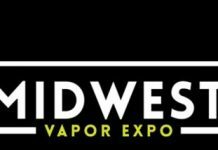 Wander the show floor, take part in auctions, or just have a good time knowing that your admission fee is going towards advocacy efforts to help keep vaping legal. Also, if you’re a smoker, don’t forget to register on the site. 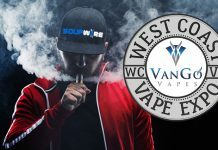 Smokers who register on the site will get free admission to the show, plus a free starter kit to help them make the switch from cigarettes to vaping. Free admission and a starter kit? That’s a crazy awesome deal. Vaper’s Carnivale is being held at the Chattanooga Convention Center in downtown Chattanooga, Tennessee. If you’re coming from out of town, you can grab a room at the nearby Staybridge Suites Hotel, which is centrally located near many of the city’s coolest attractions. So, don’t delay – head by the official Vaper’s Carnivale site today and get your ticket to one of this year’s biggest vaping conventions. We’ll see you on the show floor.